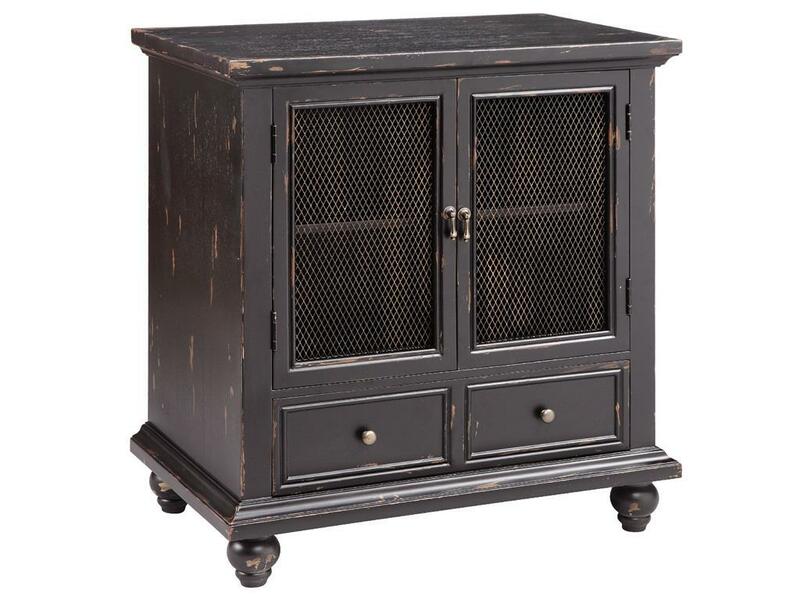 Covered in a dark rubbed finish and accented with wire mesh door panels, this cabinet brings industrial design to the home. Two door cabinets make room for all your storage needs in the hallway or living room. The Accent Tables Brockton Accent Cabinet by Stein World at Royal Furniture in the Memphis, Nashville, Jackson, Birmingham area. Product availability may vary. Contact us for the most current availability on this product.